An abundance of Pine Siskins on the slopes of Roan Mountain made this small finch the most numerous bird on the recent Roan Mountain CBC. The 62nd Roan Mountain Christmas Bird Count was held Sunday, Dec 20, with nine observers in two parties. The yearly count is conducted by the Lee and Lois Herndon Chapter of Tennessee Ornithological Society, otherwise known as the Elizabethton Bird Club. A total of 52 species was tallied, which is is above the recent 30-year average of 45.4 species. The all-time high was 55 species in 1987. Highlights included: Ruffed Grouse, 1; Peregrine Falcon, 1; Red-breasted Nuthatch, 24; Gray Catbird, 1; Chipping Sparrow, 4; Purple Finch, 2; and Pine Siskin, 282. 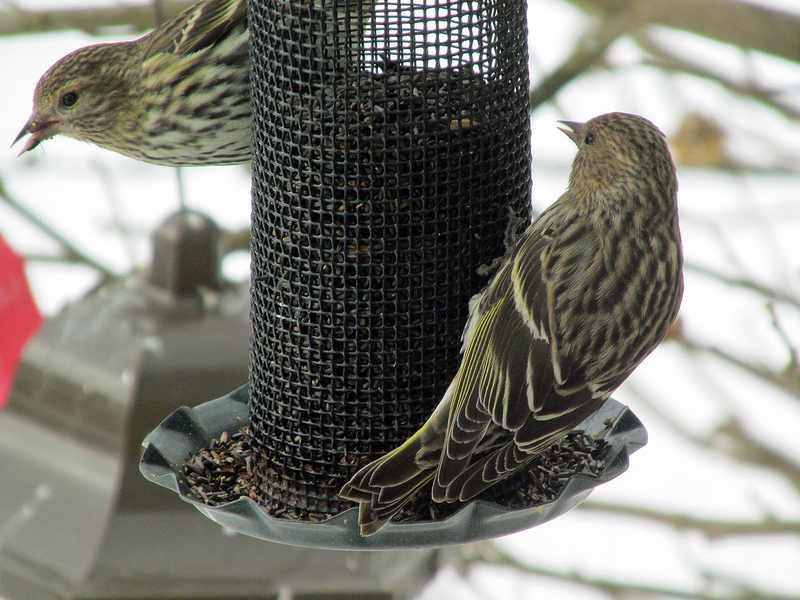 The most numerous bird on the count was Pine Siskin, with a total of 282 individuals found, followed by Dark-eyed Junco, 172; American Crow, 93; and European Starling, 57. 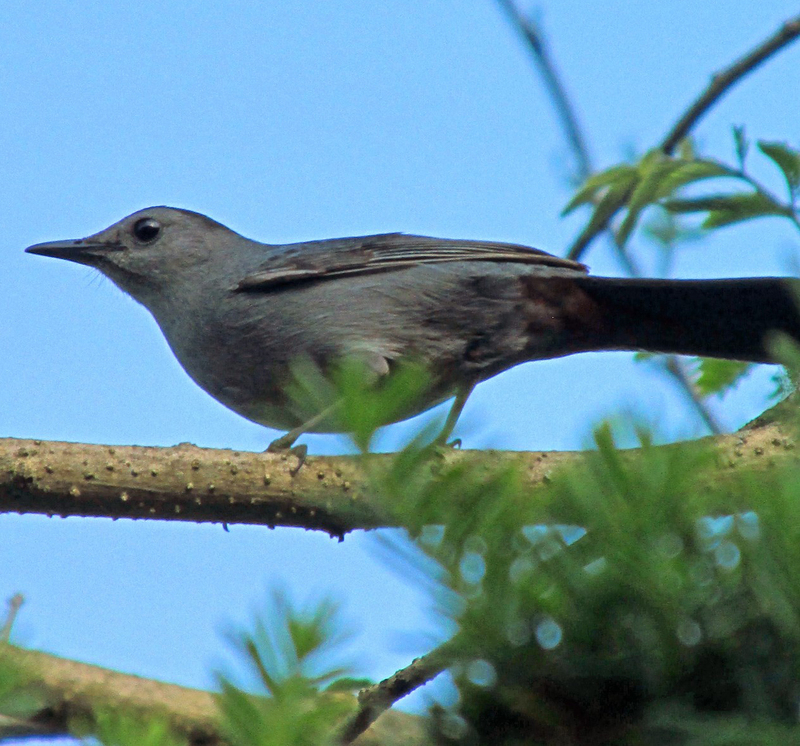 Usually a summer bird in the region, a single Gray Catbird was found during the recent Roan Mountain CBC. Compared to the mild weather for most of December, cold temperatures moved in ahead of the counts for Elizabethton and Roan Mountain were held. As a result, near normal temperatures reigned on the days the counts were conducted. There was even about an inch of snow on top of Roan Mountain. 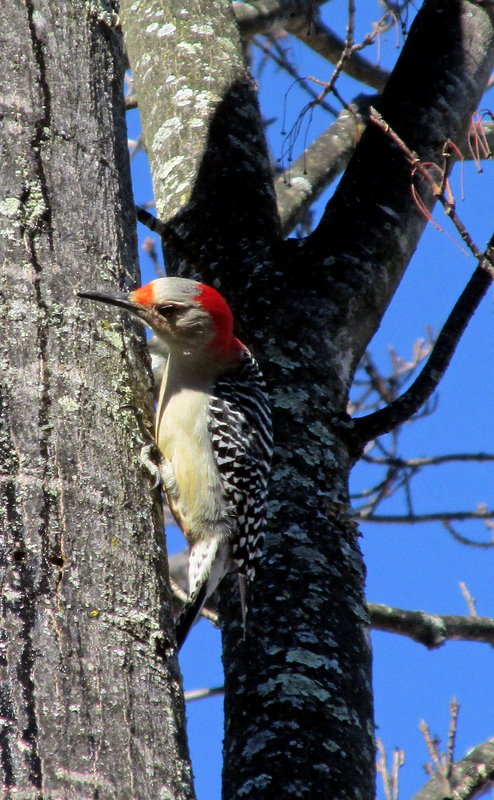 More common at low elevations, only a single Red-bellied Woodpecker was counted during the Roan Mountain CBC. Bufflehead, 11; Ruffed Grouse, 1, Wild Turkey, 1; Great Blue Heron, 1; Turkey Vulture, 1; Sharp-shinned Hawk, 1; Cooper’s Hawk, 1; Red-shouldered Hawk, 2; Red-tailed Hawk, 7; American Kestrel, 1; and Peregrine Falcon, 1. Rock Pigeon, 23; Mourning Dove, 13; Eastern Screech-Owl, 1; and Barred Owl, 1. Belted Kingfisher, 3; Red-bellied Woodpecker, 1; Yellow-bellied Sapsucker, 1; Downy Woodpecker, 7; Hairy Woodpecker, 2; and Pileated Woodpecker, 4. Blue Jay 13; American Crow, 93; Common Raven, 15; Carolina Chickadee, 20, Tufted Titmouse, 13; Red-breasted Nuthatch, 24; White-breasted Nuthatch, 11; and Brown Creeper, 2. Winter Wren, 6; Carolina Wren, 8; Golden-crowned Kinglet, 16; Eastern Bluebird, 5; American Robin, 19; Gray Catbird, 1; and Northern Mockingbird, 2. European Starling, 57; Cedar Waxwing, 22; Eastern Towhee, 2; Chipping Sparrow, 4; Field Sparrow, 1; Song Sparrow, 43; Swamp Sparrow, 1; White-throated Sparrow, 6; and Dark-eyed Junco, 172. Northern Cardinal, 15; House Finch, 2; Purple Finch, 2; Pine Siskin, 282; American Goldfinch, 14; and House Sparrow, 55. A Hermit Thrush along Simerly Creek was the last bird found on my personal quest for 100 birds in my yard in 2015. This individual was photographed this past March in South Carolina. My own personal Big Yard Year ended on Dec. 31, 2015. I found my last bird species of the year — Hermit Thrush — lurking in a tangle of rhododendrons on a slope overlooking Simerly Creek. The thrush was the 90th bird I found in my yard in 2015, which brought my quest to an end still shy 10 species of reaching my goal of 100 species in a calendar year. 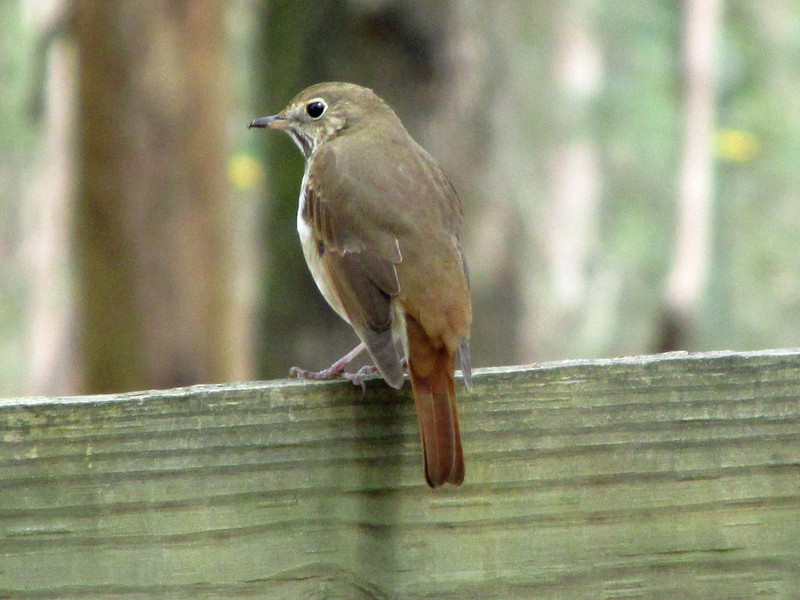 The Hermit Thrush is the only brown thrush likely to remain in Northeast Tennessee during the winter months. Others, like the Wood Thrush and Veery, winter in the American tropics and return to the United States and Canada each spring for the summer nesting season. In the summer, the Hermit Thrush feeds on a variety of insects and spiders, but this bird switches to a diet of fruit and berries during the winter months. 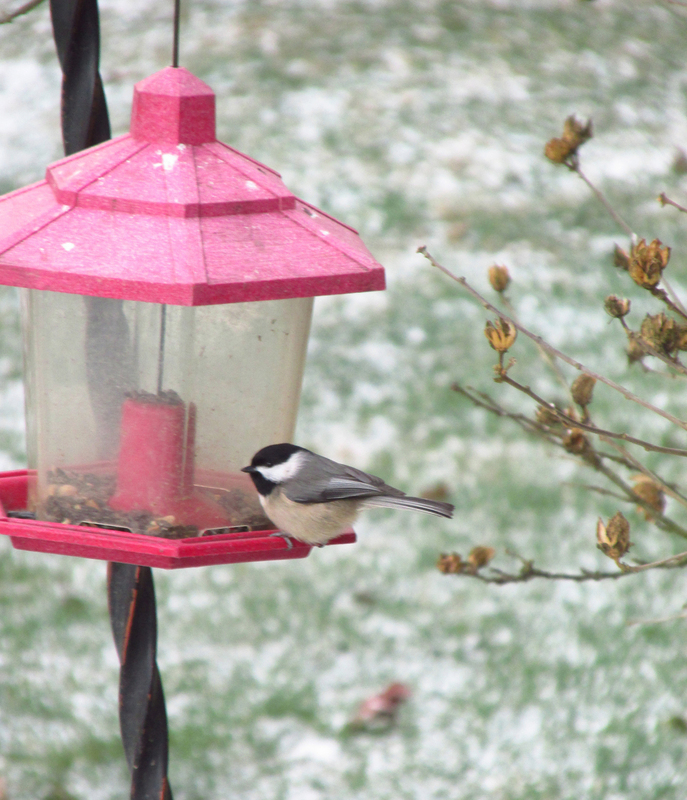 Many birds, such as Carolina Chickadees, are almost daily visitors to my yard. Overall, I am quite pleased with finding the 90 species in my yard. After all, it broke my old record. I can’t help but think on those species that I missed. Winter species like Yellow-bellied Sapsucker and Brown Creeper, which have been relatively rare in my yard, simply didn’t make an appearance in 2015. House Wren was one bird that I had really expected to find. For some reason, however, no House Wrens took up residence at my home in 2015. Other birds that occasionally make migration stops but didn’t visit last year included Vesper Sparrow, Blue-winged Warbler, Kentucky Warbler, and Canada Goose. I saw most of my birds in January, ending the first month of the year with 26 species. I also saw 14 species in both April and September, which testified to the strength of my yard to attract migrant birds. Photo by U.S. 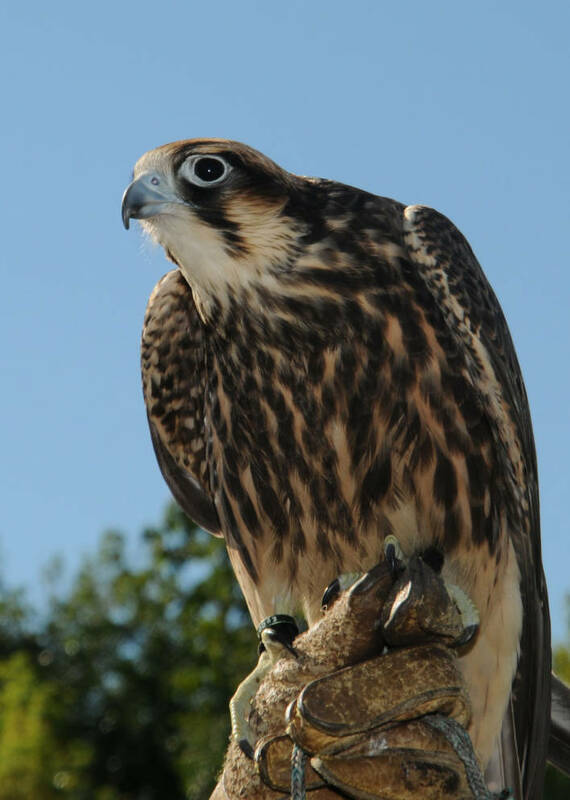 Fish and Wildlife Service This Peregrine Falcon is a captive bird, unlike the one found during the Roan Mountain CBC. I haven’t decided if I am setting any birding goals for 2016. I may simply enjoy birds without any specific aims. However, the year is still young. If I decide otherwise, I will announce it on my weekly blog. This entry was posted in Big Year, Birding, Birds, Bryan Stevens Feathered Friends, Christmas Bird Count, History of Christmas Bird Count, Roan Mountain, Roan Mountain Christmas Bird Count, Winter birds and tagged Birding, birds, Bristol Herald Courier, Carter County Compass, Christmas Bird Count, Elizabethton Star, Erwin Record, Feathered Friends, McDowell News, Our Fine Feathered Friends, The Erwin Record, Winter birds on January 10, 2016 by Bryan Stevens.